Fighting crime is thirsty work. San Diego Comic Con began as a meeting of people who enjoyed non-mainstream things, meaning mostly comic books and related materials. More recently, it has become a massive assemblage of panels on important issues and also Hollywood presentations of what they have in their respective pipelines to sell to us to enjoy. This nominally means upcoming or returning television shows and movies. The past week was San Diego Comic Con 2018 and with that being so we all waited for the release of new footage from science fiction, fantasy and related geeky properties. The MCU slate is in a state of rest until next year's Captain Marvel so the DCEU was able to shine. The big movie trailer that most people were waiting to see was December's Aquaman. What got me more excited was the Captain Marvel film that they were releasing instead. That happened because of a great trailer. Shazam (I'm not calling him Captain Marvel to avoid confusion) hasn't been on my superhero radar ever. Sure, he pops up from time to time and I really like how he was utilized in an episode of Young Justice and during this scene from Justice League Unlimited but he has never really been one of my go to heroes. I think that is partly because I was fully introduced to him in my 20s so I missed all the "what if I could say a magic word and become an adult superhero?" The closest I had to that was Prime from the Ultraverse and I kind of hated the Ultraverse. When I did get to know the Shazam family, I was put off by the "gee whiz" aspects of it and couldn't move past the talking tiger. Now, I get the purity of it. 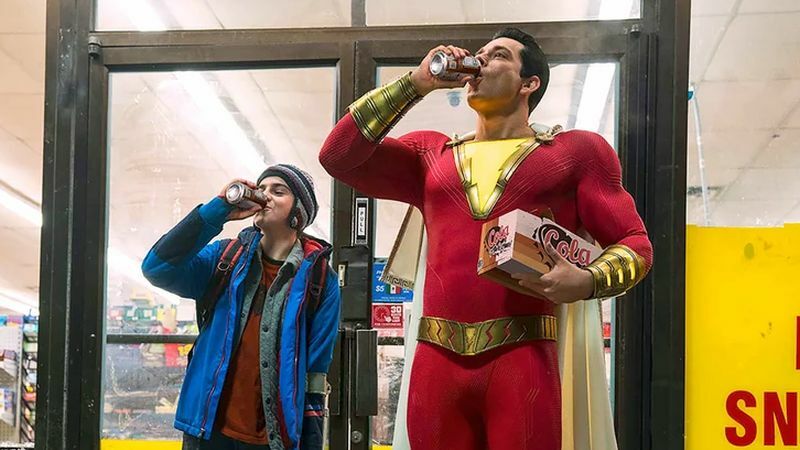 Shazam is about a pure and innocent kid who wants to do good and the Wizard who wants him as his champion to fight magical evil. This movie appears to be that and not. I get a lot of vibe from Geoff Johns and Gary Frank's backup story in The New 52 run of Justice League comic books from this trailer. The fun is there and I like that they are going with that but there is also a current feel for Billy Batson in this footage that is definitely taken from the Johns/Frank story. Billy is a little more jaded and aggressive. His good heart is there but it's behind a bit of trouble. The Wizard is also a more gruff current version compared to the one that we met in 1939. I think this movie is going to balance the versions of both characters out and that's why this trailer works so well. There are things in it for comic book readers and long time Shazam fans who still call him Captain Marvel. The Big Red Cheese is still there to love even in an updated costume. His childlike nature shines through thanks to Zachary Levi's performance. This is Levi's third comic book film and his commitment to throwing himself into a character is what this movie is going to need to sink or swim. That and his interaction with Freddy Freeman played by Jack Dylan Grazer, from 2017's It: Chapter One, which appears very well done so far. This trailer also works for non-fans as well. It seems like a fun movie with moments of levity and wonder. The director says that this is just a teaser so more action will be shown in an official trailer but from what we see here there is a lot to look forward to. The trailer gives enough to reel us in but not the whole story. There is even a villain reveal that may portend another character introduction that has been talked about for years but you can't tell either way with the footage shown. That's a good thing. 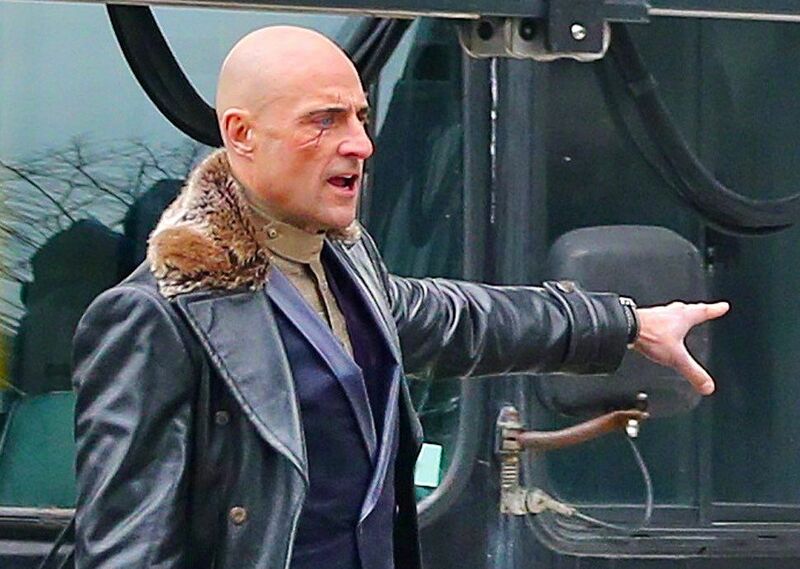 Mark Strong has a perfect villain's face. Of all the trailers released from SDCC this year, I'm most excited for this movie and Godzilla: King of Monsters. Both will touch on childhood wonder and big action. The only reason that this gets the edge is that I'm coming in from a place of greater surprise and I can tell a lot of how the Godzilla film will play out. There is more mystery here and that is largely due to this trailer. It has found the sweet spot of revelation and secrecy and I'm excited for next year.